The most important thing to remember when it comes to Micron Technology, Inc. (NASDAQ:MU) is that Micron stock isn’t as cheap as it looks. And MU stock does look cheap, trading at a seemingly ridiculous 5.3x multiple to fiscal year 2018 consensus earnings-per-share estimates. That multiple, in fact, is likely to come down. On Monday, at its Analyst Day, Micron raised its guidance for third-quarter results, and announced a $10 billion share repurchase program, leading the stock up about 4% in after-hours trading on top of a 3.9% rise in the regular session. Still, a better-than-expected quarter doesn’t completely offset the long-term risk here. Micron’s core NAND and DRAM memory products are exceedingly cyclical. An enormous jump in prices has led Micron earnings to soar lately. But those high prices won’t last forever — indeed, they already are starting to come back down. Micron earnings may follow. All that said, there’s still more than enough here to stay bullish on MU stock, even with the stock back toward an all-time high. I do think investors need to stay relatively nimble, as I argued back in March, as Micron stock can move quickly, and without warning. But the core thesis here still holds. MU stock should be cheap — but not this cheap. The past few sessions have provided a microcosm of the investment case for, and against, Micron stock. Over the past two-plus years, as MU stock has soared from single-digits to above $60 before a recent pullback, Micron earnings have steadily grown — and so have pricing concerns. After all, we’ve seen this play before. MU rose from $5 to $35 between late 2012 and late 2014; within 18 months it was back in the single digits. Pricing, particularly in NAND and DRAM, creates enormous incremental margins on the way up. Every extra dollar is something close to free money, at least before taxes. The risk is that the reverse is true. Micron’s earnings can shrink very quickly if industry discipline breaks down. In just a matter of days, the recent story for MU stock has played out. Investors get worried about pricing, and Micron stock drops. Then Micron releases its number — and MU stock moves even higher. A solid rally in MU was interrupted on Friday. MU fell 2.4% after pricing worries on the DRAM side were highlighted. Again, the fear that Micron earnings are at or near a peak rose to the forefront. And then, on Monday, Micron showed just how healthy its business truly is. The company raised Q3 guidance to $7.7 billion in revenue, up from a previous range of $7.2-$7.6 billion and above consensus of $7.46 billion. EPS is expected to come in at $3.12-$3.16, versus Street estimates of $2.84 and earlier guidance of $2.76-$2.90. After the close, Micron announced a $10 billion share buyback, and plans to return roughly half of its free cash flow going forward. And that buyback could be very aggressive. Micron is on pace to generate over $10 billion in free cash flow this year alone. Current consensus EPS for next year suggests adjusted net income in the $10 billion range as well. At current prices, Micron’s initial authorization and projected cash flow could lead the company to repurchase about 15% of its current shares outstanding within the next two years. And as an analyst pointed out ahead of the announcement, in theory Micron could buy back about half of itself in the next four years. Once again, the actual results of Micron are overcoming the concerns about pricing. And for good reason. A sharp share buyback could boost EPS, and demand for Micron stock — particularly on pullbacks. It also de-risks the story substantially. If Micron is trading at 6x free cash flow, and is using half that free cash flow to repurchase shares, shareholder returns are in the 8% range a year. Even if pricing does turn somewhat, and profits come down, EPS should stay stable — and existing shareholders will own a large proportion of those smaller profits. The buyback authorization goes to the idea that even if Micron earnings do start to weaken, the stock is still cheap enough. Long-term trends remain healthy, with Internet of Things, artificial intelligence, and cloud needs all driving unit demand. Even if pricing is close to perfect, and even if it comes down, Micron still will have the ability to drive unit growth and offset some, if not all, of that pressure. Near-term, volatility may continue. Monday’s announcement does take the steam out of next month’s Q3 report, where the focus will turn to the company’s Q4 guidance and outlook. InvestorPlace’s Chris Tyler highlighted some creative option trades last week that offer a hedged entry and make some sense. But long-term, there’s still a lot of upside here — even if bears are right on pricing. Demand is going to be healthy, supply remains acceptable, and capital allocation only helps the bull case. I don’t think Micron stock should be valued at 20x earnings — but it doesn’t have to be to drive above-market returns. 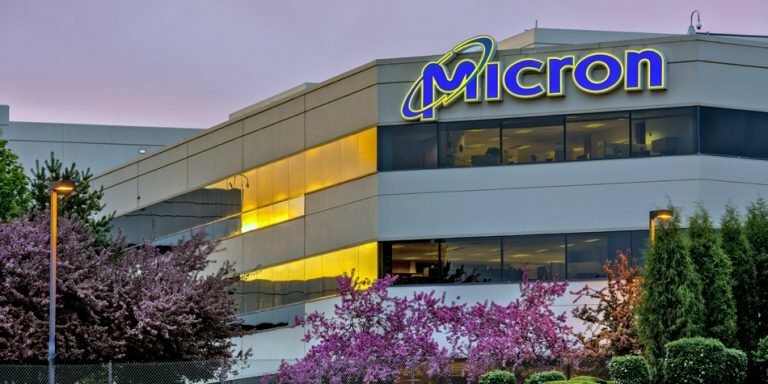 Article printed from InvestorPlace Media, https://investorplace.com/2018/05/bull-case-micron-technology-inc-mu-stock-strenghens/.